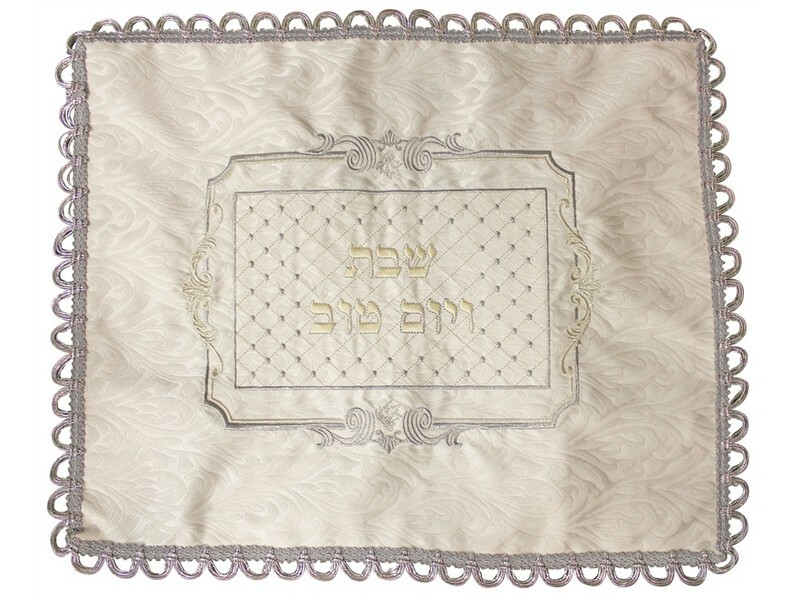 Made of elegant designed heavy brocade fabric, this challah cover is elegantly embroidered with a frame and flowers. The double lines create a frame that has gold and silver colored accents on all sides. The inside of the frame is designed with diagonal stitching in each direction, creating a diamond shape affect. Where the lines cross there is an embroidered filled circle, enhancing the elegant look. The Hebrew words “Shabbat v’Yom Tov”, “Shabbat and Yom Tov”, is embroidered in the center. The edges are finished with silver thread arches.